Appearance : Kyro's hair is short and laid back, and is a dark black color. His green eyes compliment his hair, and his teeth are a shiny, clean white. He has a strange scar along his chin, a scar he has no recollection of receiving. He wears the normal Shinigami outfit with the Captain's Haori over it, with the sleeves removed. His Zanpakutou hangs from his hip, and he wears a white glove on his left hand, simply for the looks. Personality : Kyro is a self-obsessed jerk, who only cares about himself. He's selfish, obnoxious, and overall, doesn't care whether or not he succeeds with his endeavors or not. Or so you would think. However, underneath it, he's cunning, skilled, and an absolute genius when it comes to strategy. He doesn't often show this other side, as it also opens himself up to his peers, which he doesn't want to happen. At all. Therefore, he is an extremely quiet person, adding onto the long list of strange quirks that makes Kyro who he is. History : His life as a Human was short and cruel. His mother was killed when he was seven years old, and his older brother died when he was nine. His father was abusive, and beat him whenever Kyro annoyed him in the slightest. Eventually, he was forced to run away, because no one ever suspected that Kyro's father was even slightly abusive. He was eleven, and was living on the streets of Japan, slowly making his way across the country. Eventually, he made his way across a smaller city, which was called Karakura Town. He stayed there after finding himself more at home there than anywhere else he'd ever stayed, even out on the streets. This, however, would eventually result in his death. His Spiritual Pressure was abnormally strong for a human, and so he drew the attention of unwanted stalkers. Or, more like a single stalker. A Hollow. When he was sixteen, he found himself under attack by a Hollow. However, not only was he under attack, but he found that he could actually see the Hollow. He obviously had no choice but to run, and so he found himself racing through the city, panic almost completely consuming him as he ran. He found that he couldn't outrun the Hollow, and eventually he was cornered by it. He was struck down with the creature's fist, and instantly became a Plus. Realizing that he was dead a moment later, he thought he was safe, but found out, a moment later, he was anything but. He would have had his Soul consumed then, if a Shinigami hadn't shown up and obliterated the Hollow before Kyro's eyes. He found himself thanking his rescuer, who responded by performing a Soul Burial on the Plus. Without saying a word in response to the thankful soul. Immediately, Kyro was cast into a strange world, with no memory of his past, and with no clue to what his future held. He began to wander the streets of what he heard people call Rukongai, finding no place among those around him, and feeling as if he would starve to death, even though no one else seemed hungry. He began to realize there was something different between him and those surrounding him, and began to stray closer and closer towards the area towards the middle of Soul Society. As he drew closer and closer to the center, he began to hear people call it Seireitei, and he heard them mention Shinigami several times. 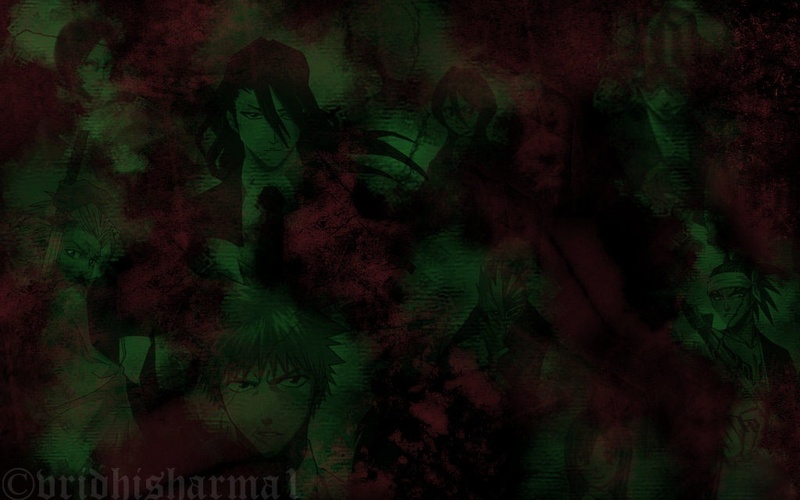 He found himself constantly drawn towards the Seireitei, and these mysterious Shinigami. Then, in an unknown blast from the past, he found himself face-to-face with the same Soul Reaper that had saved him from a Hollow when he had been a recently killed Plus. Of course, he couldn't remember the Soul Reaper, but the Shinigami remembered him, as he had only saved him fifty years before. After realizing that the teenager he had saved those years before had a stronger Spiritual Pressure than he had realized, he brought him to the Academy, believing that he had the potential to become a powerful Shinigami. After he passed every test needed to prove he had potential, Kyro was accepted into the Academy, and instantly, he felt as if a missing piece of himself had been found. He knew he belonged with the Shinigami. So, he threw himself into his studies and training, and remained this way until he reached his 171st year in Soul Society. Following this, he was eventually admitted into the Fifth Division as an unseated member. For the next one hundred years, he worked himself up to the eighth seat. It was at this time that he acquired Shikai. He was defending Soul Society from a large invasion of Hollows, and he and his group was being overrun. As his men were about to be cut down, he suddenly heard a strange voice coming from inside of him. He was immediately pulled into his Inner World, where he met his Zanpakutou (description below) for the first time. Following a dramatic event inside of there, he awakened his Shikai, and when he left his Inner World, he used it to defeat the massive group of Hollow that was oppressing his men. He was treated like a hero for an entire year by those men. For the next few years, he spent his time working his way to Vice-Captain of the Fifth Division. It was at this time that an Espada infiltrated the Seireitei with his Fraccion. 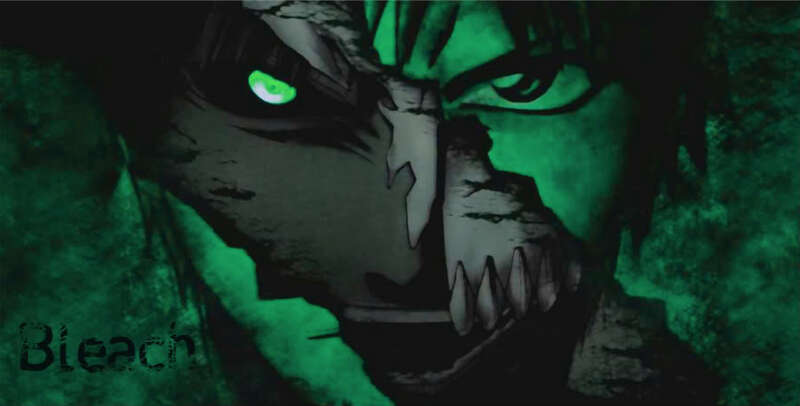 The Fifth Espada led a vicious attack against the Gotei 13, but suddenly disappeared from the battlefield, leaving his Fraccion to deal with the Captains so that he could go after his target; the students at the Shinigami Academy. Kyro happened to be there at the time, using its library to further study Bankai, something he'd been researching for quite awhile. He was there as an explosion rocked the Academy, and had rushed out to find himself face to face with the Fifth Espada. Knowing that he stood no chance, but also knowing that the Students needed to have as much time as possible to escape. He tried his best, but was soon at the mercy of the Espada. That's when his Captain arrived and took up the battle. Kyro ended up watching as the two battled it out, and as the Espada ended up killing his Captain, even while he was using his Bankai. Because of this, something inside of Kyro snapped, and he suddenly found himself in his Inner World, face to face with his Zanpakutou. He ended up battling his Zanpakutou's spirit, and then ended up failing. However, instead of allowing himself to be beaten, he simply threw himself at his Zanpakutou, impaling himself on its blade. There was no pain, as he had thought, no, realized, and then he simply impaled his Zanpakutou. Following this, he blasted back into reality, and released Bankai. As the Espada was in a weakened state, he was able to defeat him, and ended up joining the battle with the Fraccion afterwards. He was key in defeating them with his surprise attack. Following this infiltration, and after he reported the fact that the Fifth Division's Captain had died, the other Captains held a vote and decided that Kyro should replace his Captain. After this string of events, he has led the Fifth Division with many, smaller scale battles, and has had many successes as a Captain. This has continued to this day. Zanpakutou Command : Command the Earth, Chikyū-ō! Zanpakutou Spirit : Chikyū-ō is bald man with a brown goatee. He has pale grey eyes, and is heavily muscled. He wears a light brown cloak, no shirt underneath, and light brown pants. He also wears dark brown boots. Zanpakutou Sealed Form: In it's sealed state, Kyro's Zanpakutou looks like a plain Katana. It's hilt has brown wrappings, and it's guard is a simple circle shape. The hilt's wrappings also continue past the bottom of the hilt, acting partly like a ribbon. Beyond this, there's nothing else unique about it. Inner World: Kyro's Inner World is a desert with mesa after mesa sprouting from the ground every quarter mile. This mesa expanse seems to spread out forever, except at its epicenter, where a very strange place appears. A large oasis a mile long on each side, which a large pool of water that goes deeper than can be measured. Shikai Appearance : The Zanpakutou transforms into a double bladed sword. The brown wrappings around the hilt merges with it, turning the hilt brown. The first blade reshapes itself into a blade that has jagged edges on both sides, and at the end has two different tips. The other side grows a new blade that looks exactly the same as the first one. Description: Kyro aims one of the blades at a spot on the ground, and then uses said blade (Moving it through the air) to control a pillar of rock. This pillar can be maneuvered in anyway, but cannot go more than eight yards into the air, giving aerial attacks an advantage. However, this can be used to create a shall of protection, and also to smash opponents. This pillar is also infused with Reiatsu to make it three times hard than normal. Description: Kyro aims a blade at a spot on the ground, and three spears made of rock and infused with Reiatsu sprout from the ground and can then be controlled by the same blade that caused them. These are ten times stronger than normal, and are jagged on the sides to maximize their damage. These are shot as fast as a bullet. Bankai Appearance : The double bladed sword grows a third blade, and the hilt turns into a ring with the hilt in its center, sideways so that the three blades, sprouting from the other side of the middle of the hilt, to the right, and to the left. The browns are a shiny, metallic brown, and the hilt (ring part) is silver. The part that Kyro actually holds is still brown. Description: Kyro uses the ring around the hilt to spin the blade, and as he spins it, the earth around him cracks into a circle. Then, Kyro aims the center blade at his enemy, and immediately, a crevice appears in the ground in the direction of where he pointed. From this, stone vines with thorns on them emerge and stretch out towards the enemy. If they wrap around an opponent, and if the opponent is lucky enough to not be impaled by one of the thorns on these stone plants, the vines are nearly impossible to break free from. Description: This technique can only be used once per fight, and once used, Kyro is no longer able to battle due to exhaustion. Once used, he drains the Reiatsu from everything around him, not humans or Shinigami, but other, natural things, such as plants or the ground itself. He then uses this Reiatsu to increase his strength, speed, and overall Spirit Power to unbelievable heights. In this form, he cannot use his Zanpakutou, as it has disappeared, and he can also not use any techniques originally granted with Shikai or Bankai. He can only use hand to hand combat, which, in this form, is a dangerous thing.